A beautiful November day with a temperature of around 14 degrees, with 12mph winds then flat calm. A big change from the 50mph winds and heavy rain yesterday..!! The match was held on Queensberry Water, and split into two sections. The heavy rain yesterday most likely upset the fish a bit, but we are into November… Winter fishing.! In section 1 Barry Young fed no more than half a pint of maggots using his kinder pot every put in, and feeding a small golf ball sized ball of groundbait with dead red maggots every half hour on pole to put together a lovely net of silverfish, a mix of big and small ide, roach, small skimmers, a chub and a big perch to weigh in 38lbs, winning the section and Overall match. 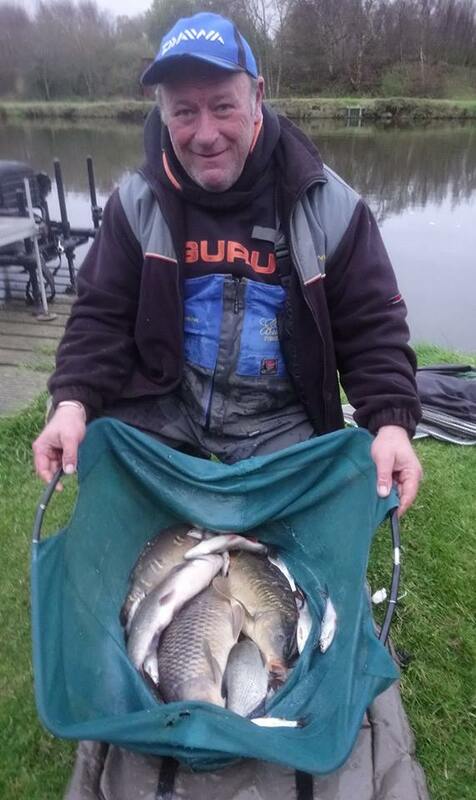 Colin Hart did well to finish second with 21lbs 4oz, again a mix of silvers and two small Carp on maggot/pole. Both DNW s caught fish but tipped back at the weigh-in. 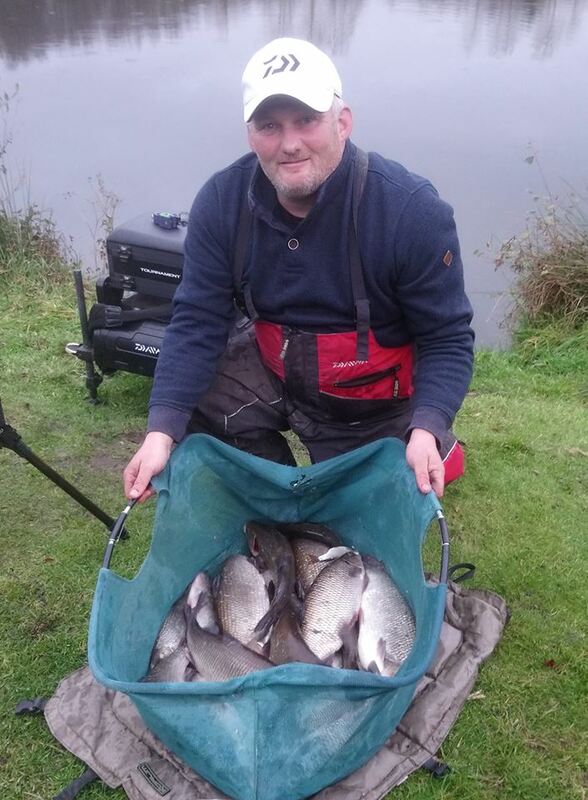 Section two was slightly tougher but Symon Willan came out on top catching 3 bonus carp on bomb & pellet, along with a nice net of small silvers for 19lbs 2oz. 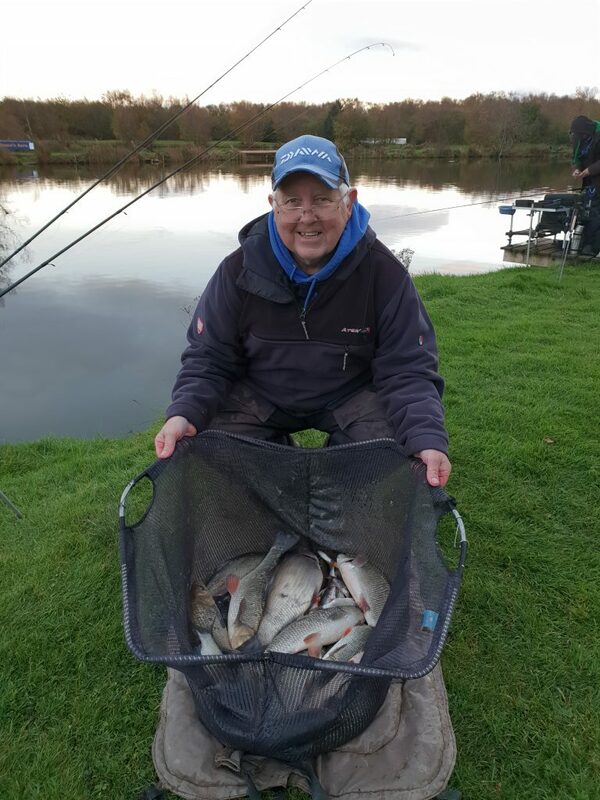 Derek Brady finished second in section with a net of small silvers for 12lb 8oz. Maggot was by far the best bait today, the trick being all about the feeding. A nice day to be out on the bank for all that turned up, with some nice winter nets of fish.